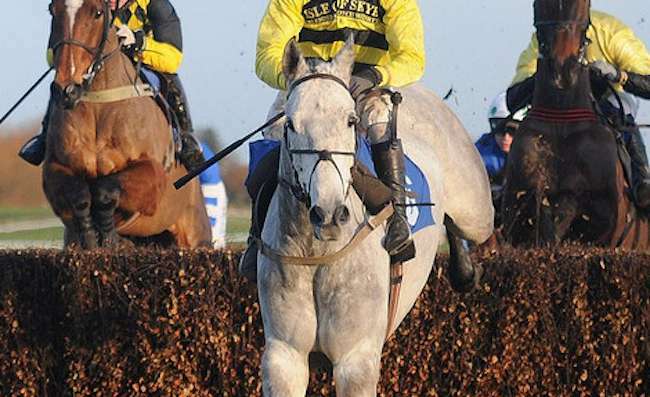 No guessing where his name comes from, Silver By Nature is the 9 year old grey who was well handicapped at 10-12 and looks set to stir things up this year at the 2011 Grand National. 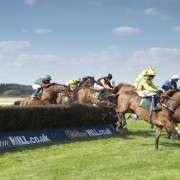 Paired with jockey Peter Buchanan for the last two years, Silver By Nature has had mixed form recently but there's no doubting his win and place rate which, as it stands, is just under 50% for a return on an each-way bet. From 23 starts, 13 of them in Chases, he has had 6 wins and 5 places making him a decent outsider. 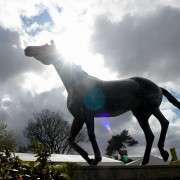 But, for all the positives surrounding this horse, there are other issues to consider. 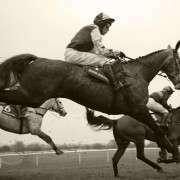 He has never run at Aintree or run more than 3m 5f and his longest distance win was 3m 4f. 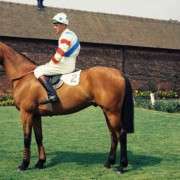 He has also, in the past, both pulled up and unseated his rider but with another win in the bag at Haydock on February 18th, his odds have been dramatically shortened – it was on heavy ground though!! The 2011 Grand National was reasonably successful for Silver By Nature who completed the course to finish in 12th position. 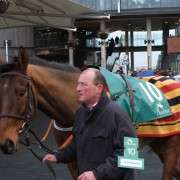 He ran home 93 lengths behind the winner Ballabriggs but has shown some very positive characteristics that he can hone in on for the 2012 Grand National if he is entered again.